به منظور معرفی بهتر فر هنگ کشور مان ایران وبه جهت قدر دانی 25 سال تحقیق آقای آثاری، انتشا رات مز بور هزینه شرکت ایشان را در مجامع فر هنگی، دانشگا ها، بحث های تلویزیونی سرا سر دنیا تقبل می نما ید. As a publisher and in order to promote an understanding of sociomusicology, ethnomusicoligy and classical Music of Central Asia amoung different culture groups and persian community Mr.Assari is available to collaborate in Seminars, TV. &Interview and do the lecture for the world wide Cultural Centers, Universities, analyze of the speach and workshop. 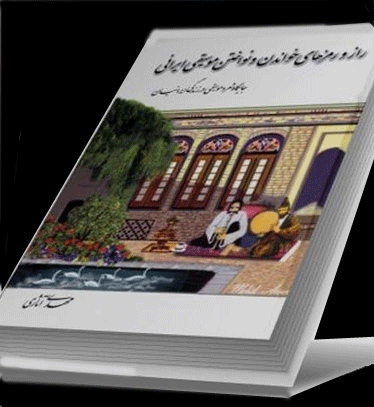 This book, titled <> Trick of Vocal & Play the Iranian Music-The Setutation of Music & poet in the Central Asian & Iranian Life <> focused on the Impact traditional Iran music has had on regional music and West, which provides full detail and comprehensive information about Iranian and Middle East musics. 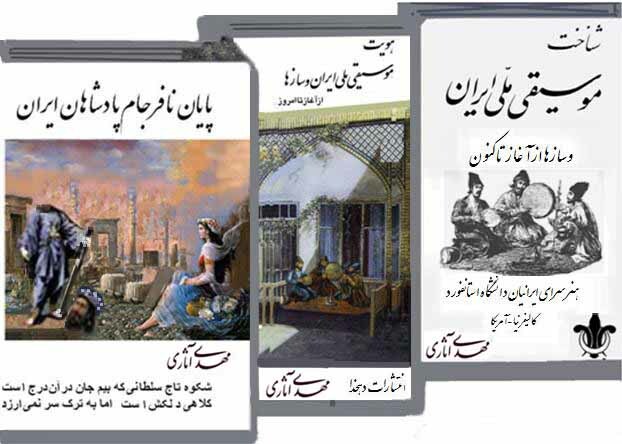 These books presents in different volume, covers total of 5000 pages, full of amazing adventures and events,all illustrated with hundreds of rare pictures, all in Farsi language but, is available to reprint or translate it to other languages. 30 years research and practice about Iranian Classical Music,Author of several books about Iran Music Sociology Culture Ethnomusicology and History – grow up in US. Loves all kind of Arts and sports such as, oil painting, sculpting, writing, horseback riding etc. he married once and separated, his wishes is a mutual respect, trust, to keep love and partnership alive.